Seven Nights Four Nights Yoga Lorraine S.
Located in the 43 acres property of MonteMar, Villa Tortuga has 271 square meters (2,917 square feet) in interior space and 120 square meters (1,300 square feet) of outside decks. It has four spacious teak floor bedrooms with lots of light coming from massive sliding windows with a magnificent view of the island, the ocean or Giant Tortoises eating in the garden. Master Tortuga bedroom has a king bed and a two shower bathroom with a private deck. There are two Standard Tortuga bedrooms with double beds or a king bed, each with its private deck. They share a full bathroom with bath tub. Junior Tortuga bedroom is the smallest room with a queen bed and a private bathroom. Villa Tortuga can host up to eight guests. Red Cedar furniture, marble and stainless steel finishings in the kitchen and bathrooms, a reinvented high tech bamboo ceiling, and lots of fine details provide for a pleasant stay. 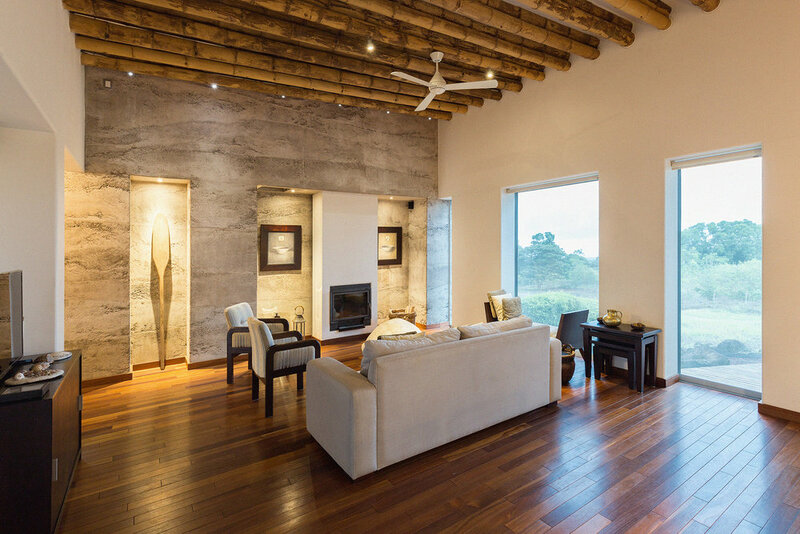 Amenities include Indian wood oven, barbecue, yoga room, office and private decks in three of the four bedrooms. 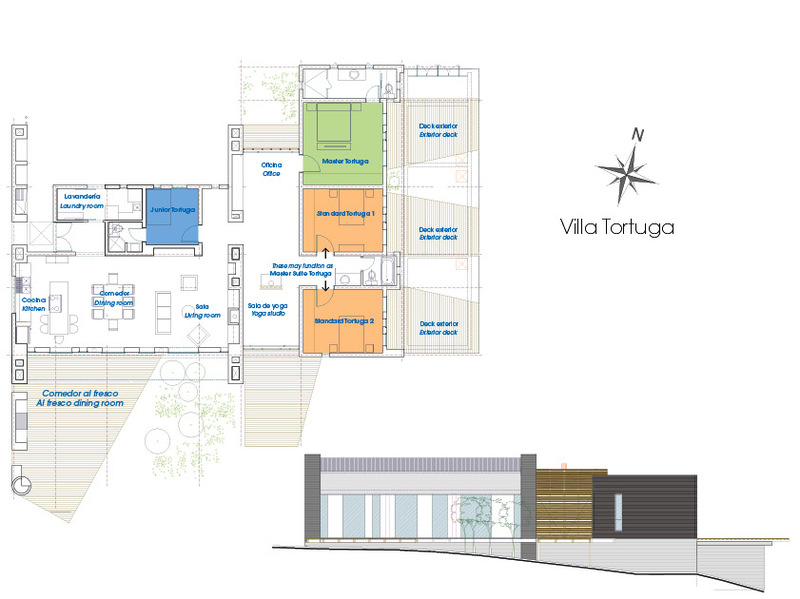 Villa Tortuga has a spacious open social area that connects kitchen, living room and dining room. It has an al fresco dining room on the outside deck. Giant Tortoises, no rush, no agenda, no connection beyond the one that you choose. The redefinition of luxury in the Galapagos Islands.